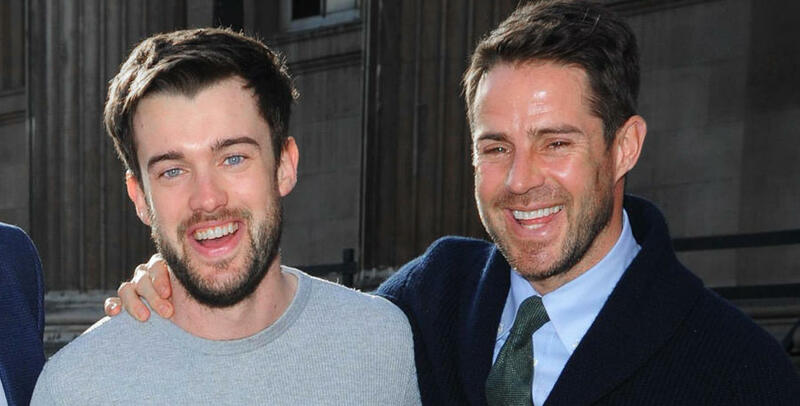 Comedian Jack Whitehall and ex-Liverpool and England midfielder Jamie Redknapp are the two most recent additions to the celebrity line-up playing in #Game4Grenfell at QPR on September 2nd. The 'A League of Their Own' duo, who often go head-to-head in challenges on the show, will face off at Loftus Road next weekend and Whitehall is looking forward to the match. "I can't wait to play against Jamie," he said. "I make him look daft every week on the show and now I'm going to do it on the pitch too. You are going to lose Redknapp!" Redknapp himself is equally excited about getting his kit on for the community event, commenting: "I'm really looking forward to playing in the #Game4Grenfell next weekend. "It was a terrible tragedy, but it’s been amazing to see how the local community have all come together since the fire. "The line-up of players and celebrities coming out in support of this match shows just how important it is." And as for the rivalry with Jack, he added: "I hope that melt Whitehall is not on my team - he's the worst player on 'A League of Their Own'. "He's all talk, but let's see if he can actually play - which I doubt!" Tickets for #Game4Grenfell are priced £15 for adults and £5 concessions. Whitehall will line-up alongside fellow comedians Lee Mack and Russell Howard, joining an already stellar line-up, on what promises to be a day to remember for the West London community. He added: "This is such a great cause and I'm honoured to be a part of this match and occasion, coming together for the people of Grenfell and the wider community. 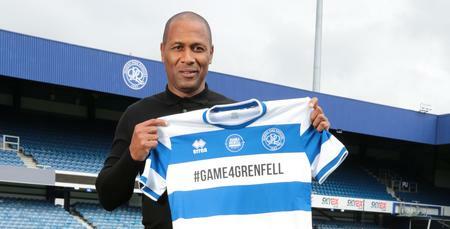 "QPR have put together a great line-up and it promises to be a brilliant event for the local community." Lester Holcombe, exec-producer of the match and creator of Legends TV Football, added: "Jack, Lee and Russell have all lined up in our games before and are all pretty decent players. 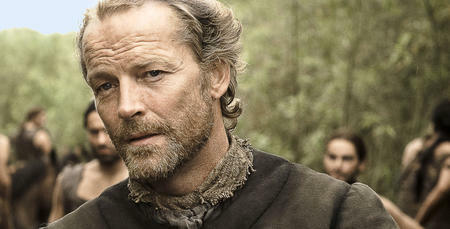 "They also bring along great support, as do the other stars, which is what these games are all about. A diverse crowd of people coming together, supporting the players and the people of Grenfell on an incredibly poignant and important day." 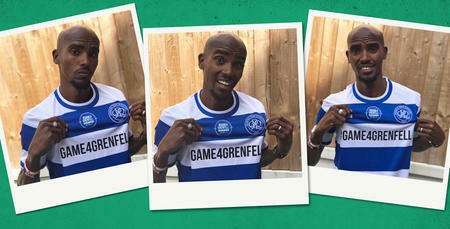 Columbia's Ferdy Unger-Hamilton, co-creator of #Game4Grenfell, commented: "On behalf of everyone involved, I invite anyone who hasn't yet bought their ticket to do so and be a part of this unique one-off event." Over 2,000 complimentary tickets will be issued to those directly affected by the tragedy, including families, the emergency services, volunteers, local residents and those who played their part in the recovery efforts in North Kensington.